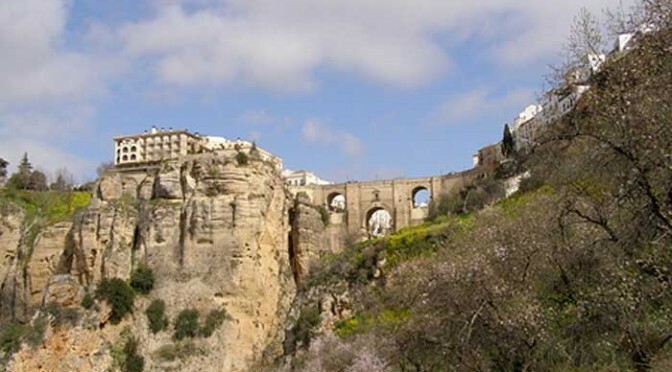 This article is part two of the Ronda to Virgen de la Cabeza walk. Please make sure you have also read part one. 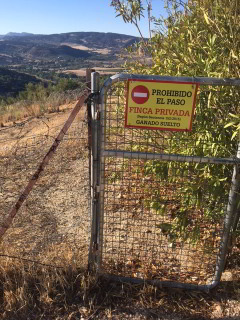 Thanks Julian for the update what a shame this path is closed. To complete this walk you need to of average fitness. This walk is not suitable for people with heart conditions as the ascent at the end is steep. Almost every keen walker who visits Ronda also walks to the Virgen de la Cabeza cave church across the valley from the Puente Nuevo, but most then turn back and return the way they came, yet the walk through the valley below is fantastic and for those game to try it should be a must do activity. The cave church outside Ronda, known as the Virgen de la Cabeza, is a 10th century hermitage built sometime around 970-980AD, and is just a short walk out of Ronda. Most people should find this Ronda walk easy to do and gets you out of the city for some of the most spectacular views of the Ronda skyline you could imagine seeing. We start the walk at the Almocabar Gate in the Barrio de San Francisco and walk along Calle Torrejones, passing the Bodega San francisco and further on the road the restaurant El Predicatorio which are on our right. 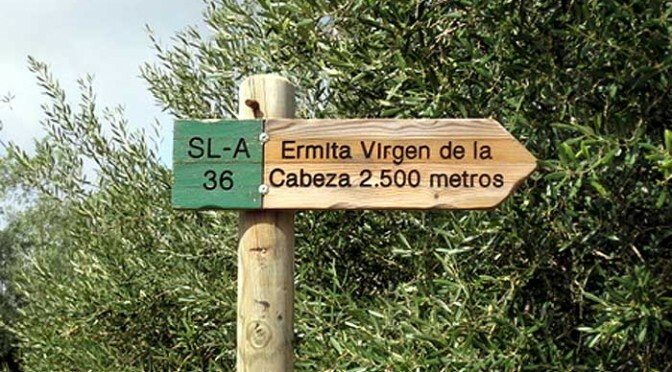 Around 500m from the old walls of Ronda we encounter a small white roundabout in the street, and 100m further an intersection with a sign pointing to the right for the ‘Ermita Rupuestre Virgen de la Cabeza’.